For how many years did British really rule all of India? What seminal events post 1947 shaped India as a country? How did India go to war with China so close to the Panchsheel declaration? How did Congress evolve from being a broad national platform to a party which ruled India for many years? The modern Indian education system, famously designed after the British passed the Government of India Act in 1833 by Lord Macaulay, tends to be very Eurocentric in terms of recognizing events, milestones and personal contributions. The tendency to define reference points in terms of industrial revolutions or world wars and then evaluating the relative weight of events and individuals in India has continued post 1947. A class of academics and historians who based their learning and style on the British predecessors has continued this tradition. Barring a few historians, the documentation of contemporary history post our independence has been meager and not well circulated. So if one were to live our history without referring to the history textbooks taught in the CBSE school curriculum or going beyond the NCERT approved versions of events and individuals, where does one turn to? There are several books which bring out generally unknown, sometimes uncomfortable aspects of India’s long and complex history. Any study of the past requires a sense of context and proportion, and interpretations of events long past are always subject to questioning. However, there are authors who have tried to piece together details and evidences and attempted to paint the past with a brush generally not used by our establishment historians. Sitaram Goel has written several books focusing on the interplay of history, religion, governance and state functions. 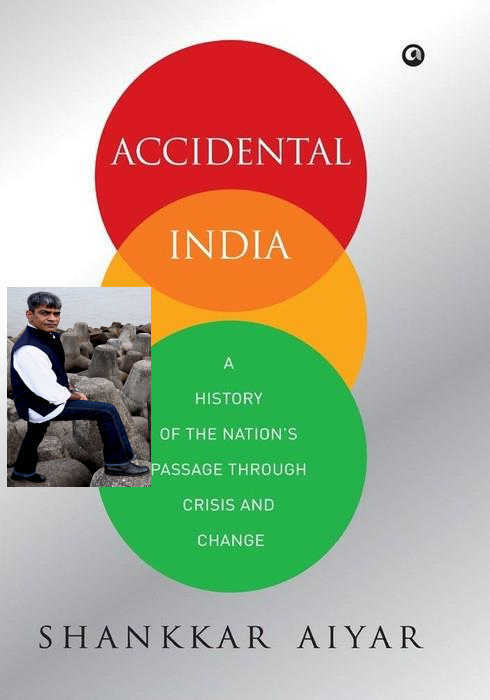 In this book, he covers two central tenets which irreversibly shaped the destiny of India. 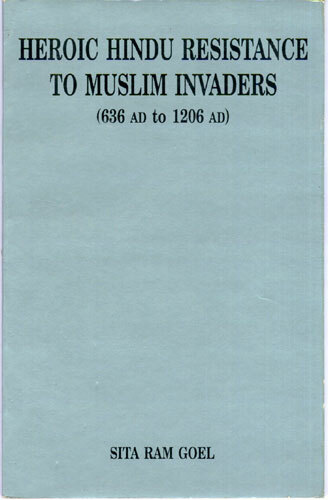 First – the invaders who came to India from Central Asia and Middle Asia used religion as the main organizing theme for their forays. This narrative counters the typical history description of all wars being fought as just that – wars for expansion and territorial supremacy. Second – several small and large native rulers in India did successfully for 600 years or so, pushed back these invaders in a way that they could not colonize any significant parts of the subcontinent. Much of this resistance also emanated out of a need to preserve the native faith and belief. Neither aspect is accorded any significance in our textbooks; in fact the first issue is routinely glossed over or sugarcoated. Kids in India learn about the end of Mughal kingdom and the start of the British rule almost as two contiguous events. 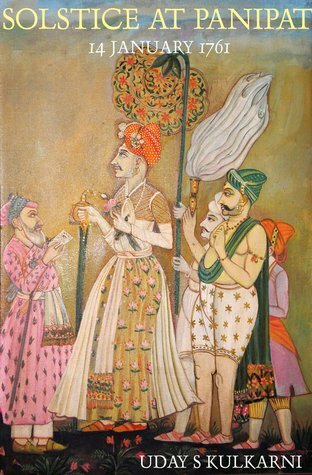 This book plugs the gaps in conventional knowledge of events which occurred from Chhatrapati Shivaji’s coronation in 1674 – a seminal historical event of 17th century – to 1761, when the Marathas lost the third battle of Panipat to Ahmad Shah Abdali and his allies. The book explains how Mughals really had very limited role to play in the future of India through the 1700s and beyond. It talks about how Marathas dominated the governance of India with Pune being the de facto capital of India for most of 1700s until this war. The reader gets a good sense of how the political and royal alliances of the day were driven mainly by religion and convenience of maintaining personal fiefdoms. The book also shows how the British grew in India via sheer opportunism, their golden age limited from 1817 to 1947, a not so long span of 130 yrs. The book shows how Marathas ran a coalition of government through participation of all castes towards a common nationalist cause. This book is authored by Uday S. Kulkarni, who is based in Pune. He has learnt the ancient Modi script to study material available in archives in India and in the UK to piece the events of the day. Mr. Kulkarni is a medical doctor apart from being a authority on Maratha history and tweets at @mulamutha. KF Rustamji served as the security officer of Pandit Jawaharlal Nehru from 1952 to 1958. In those days of evolving governance, he effectively ended up doing tasks which today would belong to Principal Secretary or the Media Advisor. 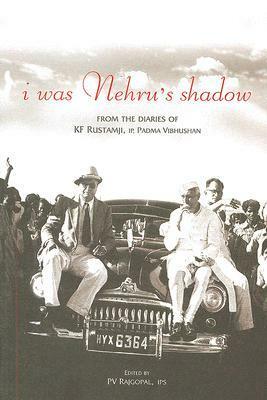 Rustamji, who makes no attempt to hide his starry eyed respect and awe for Pandit Nehru, diligently wrote diaries and documented day to day events, which when pieced together; provide us with an interesting view of how Pt. Nehru evolved as a Prime Minister. The author establishes how Pt Nehru was a demigod, a larger than life figure, well respected for his intellect, his worldview and the sheer force of his personality. Indians, especially after independence, accepted him as the sole executioner of the country’s destiny and vested in him the carte blanche to get to a better future. This was in good faith, out of highest regard and respect for the individual. As the daily events evolve, one gets a sense of how Pt Nehru had two very different phases as the Prime Minister. In the first 7 years or so, he was fully in control, working on a grand vision of creating institutions, empowering every Indian in the best way possible and creating the right infrastructure to realize his dreams for the country. In the period after 1954 (a good tipping point was his interview with Profession JD Bernal that year where he expressed the desire to relinquish the post of PM or the Presidency of Congress party or both but didn’t execute either), Pt Nehru seemed to have been overtaken by his own command and authority. This was also the period where there was no opposition to him within the party or within Indian politics. His contemporaries were dead or elevated to several ceremonial posts or failed mature as national leaders of stature. Several people close to Pt Nehru were able to have their way – despite not being the best administrators or most able individuals – simply because of their loyalty. The author has named tall Congress stalwarts in this category, whose incompetence was ignored by Pt Nehru only because they were loyal. The book, authored by PV Rajagopal based on Rustamji diaries, points to several small events, which are not individually significant to be recorded as history, but collectively demonstrate the gradual decline of Pt Nehru’s governance in 1950s. Indian war books are rare. This book talks about a history, which is not easily found anywhere else. School books, contemporary history texts and op-eds almost always skip the ignominy of the China war. There could be many reasons – the narrative does not fit in with what the government ordained history is. Or in some cases, influential strategic affairs commentators are directly related to the chief villains of this war! The book explains how the China War was not lost in 1962, but steadily through the 15 years preceding it. The book makes it clear that India’s loss against China was not military but political. Foreign policy decisions aimed at grandstanding and projecting Pt Nehru as world savior, key ministerial appointments based on friendships and old equations and a complete breakdown of strategic affairs decision making over many years backed by zero knowledge of armed conflicts stand out as key failures. The book is written by an author perhaps most qualified to write one on the subject, given his personal role in the war. Brigadier Dalvi led the first troops which took Chinese bullets in 1962 and was eventually taken as Prisoner of War for a significant period of time. After the book was written, it was banned almost immediately and the ban remained in force for a long time. 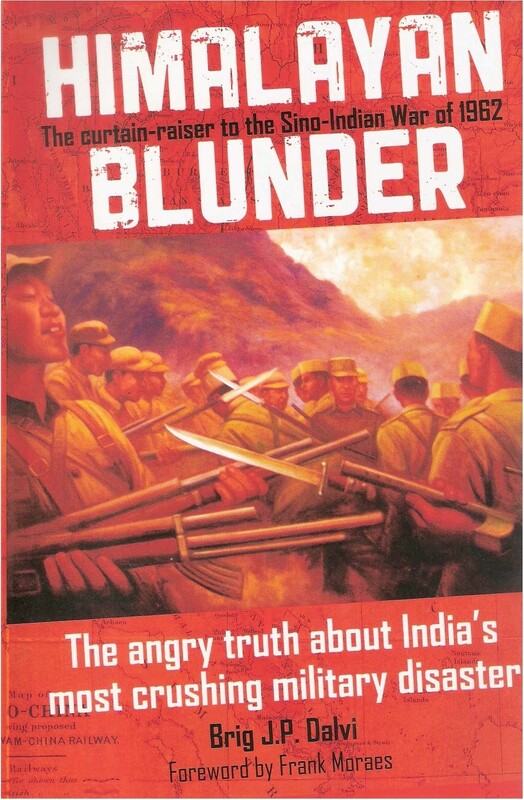 We may or may not get to read the original Henderson Brooks – Bhagat report, but until then, this book serves as an adequate explanation to how horribly wrong Indian civil and military leadership was through the Chinese War. India’s post independence history and chain of events is very poorly documented. This book written by eminent journalist Shankkar Aiyar looks at key inflection points India faced after Independence and how these points forced reforms, policies or governmental decision making. The author provides persuasive arguments on policy formulation without politicizing the events. The book covers Green Revolution (1960s), Bank Nationalization (1969), Operation Flood (1970s), Mid Day Meal Scheme (1982), Software Revolution (1990s), Economic Liberalization (1991) and Right to Information Act (2005). The author explains the political and economic realities before each of these seminal event / change in government policy took place and how these changes were driven out of compulsions – most as good as crises. The author also explains how several individuals – political leaders and bureaucrats – belied their own instincts and persuasions to overcome these crises via strong game-changing responses. Our textbooks stop teaching history after the events of 1947. This book covers the post modern India and provides great context to largely forgotten or ill-understood events. Mr. Aiyyar writes regular media columns and tweets at @ShankkarAiyar. This is a short but an influential list of either forgotten or relatively unknown texts. Reading these and unearthing more such gems is the only way we can assume control of facts and narrative which shaped India. The alternative is to rely on establishment authors or the present day media, which is to say there is no alternative at all.